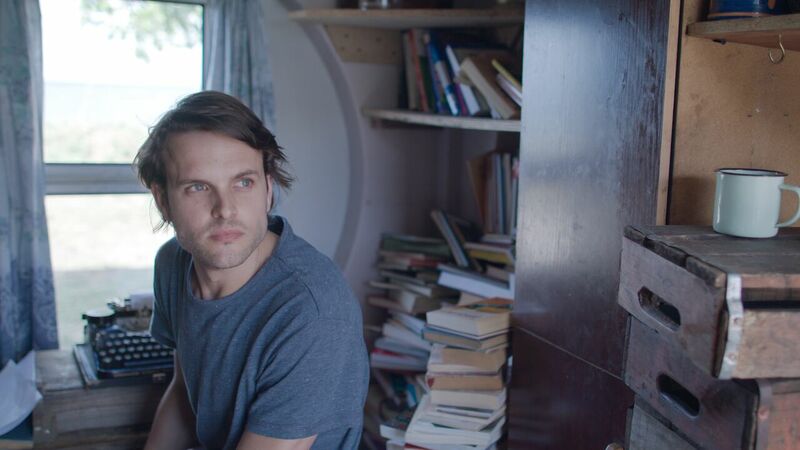 Daniel Dercksen shares a few thoughts with filmmaker Hendrik Cronje about his debut feature Liewe Lisa, a gentle, charming film that will definitely warm the hearts of filmgoers who need to fill their lives with love and keep their dreams alive. With a burning desire to make his own films, Hendrik teamed up with his brother, Johan Cronje. The film Liewe Lisa is not only the filmmakers’ very first production, but also the spark that started a new production company called Kompanjie Stories, whose sole mission is to bring real and original story-based films to the Afrikaans market. His passion has always been rooted in directing and writing. He’s written as much as he could, whenever he could, and as a result, Kompanjie Stories is in the fortunate position to have enough scripts to last them a decade. Hendrik made his debut in the Afrikaans entertainment scene in 2008 when he starred as Lukas Mulder in the popular soapie 7de Laan. After that, he was seen in Tropica Island Of Treasure (Season 2), and in Villa Rosa. He also played a few smaller roles in Afrikaans films such as Hoener Met Die Rooi Skoene and Krotoa. Liewe Lisa is his first film as director, editor and lead actor. Tell me about Liewe Lisa, about the inspiration of The Graduate and why this classic film inspired you? I related to Dustin Hoffman’s character being worried about his future. After watching the film, I went home and started writing Liewe Lisa. It turned out to be something totally different, except for the “Mrs. Robinson” factor, but The Graduate did spark the initial idea. In Liewe Lisa Daniel secretly dreams of becoming a writer. In the pursuit of excitement, he finds himself trapped in an illicit affair with the wife (Barbara-Marie Immelman) of a powerful businessman (Albert Maritz) . Things take another dramatic turn when he falls in love with the same businessman’s daughter (Elani Dekker). After his mistakes are revealed, he abandons the life set out for him and meets Tom (Zane Meas); a simple fisherman who helps Daniel to achieve his true potential in life. Was it a difficult process of turning your inspiration into the passion for telling this story? The story just came to me as I started writing. After my initial idea, I would have other ideas of scenes and scribble them down anywhere I can. Then I took a break from the script itself, and I wrote the outline of the script, almost like a short story, to see where the story goes and how it ends. From there script writing is a lot easier because you know where the story is heading. Does being an actor and investing time as an actor in the industry help you as a writer? I think so. As I write, I put myself into the mindset of the characters, as you would as an actor. I see the potential of a scene from an actor’s perspective as well. Are you a romantic at heart? Tell me about this? Who is the man behind the words? I am, although I don’t think anyone who ever dated me would agree. I’m awkward showing feelings in real life. I’m romantic in thought and the big romantic gestures are too much for me. Romance is found in the little things. Are there any other films in the romantic genre that served as inspiration? Any local films? The Curious Case of Benjamin Button was on my mind a lot. I liked the dynamic between the leads. It was never far-fetched and outrageous love gestures. On the local front, I am sad to say that I haven’t been inspired as yet, but maybe there is an older film that I haven’t even seen. This year I want to watch local films through the ages. Was is your choice to write the screenplay, direct and take the lead role? Yes. I write screenplays solely with the idea to direct the story myself. I want to bring the story in my mind to life. The way I see it. This particular story I wrote with the idea to play the part. I have written other scripts where I don’t see myself playing a part. How long did it take to craft the screenplay? Was it a difficult process? Tell me about this and any obstacles encountered and overcome? It took about 3 months to complete the first draft. The first draft was almost twice as long as the final draft. The story changed somewhat between the first and the last draft. For me, writing is the most enjoyable part of filmmaking. Because you can work remotely. You don’t have all the worries of production. Not at all. I am actually just writing down the film I want to make. I clearly see the scenes and characters in my mind. I’m just trying to keep up with what they are doing and saying to each other. You also had the final say as editor, to take a journey back into your story and capture the beats, rhythm and tempo you originally had in mind? Editing was hard for me. Because I was so close to it, I was doubting myself regarding beats and rhythms and timing constantly. I still wonder about some of my timing in the editing. I’m still too close to it! I wouldn’t like to edit a film from scratch again. I want some distance from it before having any say in the edit. Was it a conscious choice to underscore the dramatic scenes and confrontation with music / songs? Tell me about the relevance? Yes. I see underscore and music as part of the dialogue. With Liewe Lisa, I wanted to create a world that is different from stark reality. With the music taking over the dialogue, it makes a scene less literal, if that makes sense. The film deals with the consequences and choices we make and how we can never escape from it? Your views on this? Every decision in your life is crucial but you never know what ‘bad’ decision might lead to something good. So you can never fully prepare for life. And that takes some pressure off you. We all suffer from romanticism. We are told that you will meet someone, marry and all will be well. My experience with observing marriage is that it’s not the case. I think I write about marriage and love and dreams because I’m also trying to figure it out. It also explores wasting one’s talent? It’s another narrative we are told. Follow your dreams, and all will be fine, again that’s not always the case. I believe you have a moral responsibility to follow your passion, but many talented people don’ t make it, and again I don’t know what the answer to this is. The film also looks at what it means to be a writer? How personal is this to you? I used writing as a metaphor for finding your passion. I needed to write the story of Liewe Lisa to be able to make the film and follow my dreams. Eventually, the script became very meta. The film highlights the importance of writing words and stories that will change the world and give writers their voice? Writing and stories really can change the world. It shapes our perceptions. It inspires, teaches and entertains us. And maybe we can do the same for others by writing. Another poignant theme is that dreams are just dreams and that one should not confuse fiction and reality? That Dreams can save you, or ruin you? While struggling to get the film made, I was having trouble making ends meet. My dream to make films, helped me cope with the stark reality. There are many people who fall into an idea of a dream, but never really do anything about it, and one day they wake up and realize it’s over. There is no way anymore. They spend their lives on something they never really wanted to do. They kept dreaming but never did anything. On the flipside literally following your dream, quitting your job etc, can ruin you, by you not able to support your responsibilities anymore. It can lead to desperate, dark places. Have you always been a dreamer? Yes! Since I can remember I walked around with stories In my head. I was reading a lot as a kid, and I loved escaping to those worlds. Teachers told my parents that I was staring out the window dreaming during class. I am so grateful that I can bring stories to life. With streaming services, the market will hopefully expand. I think we need to be braver. Especially in the Afrikaans market. We delved into difficult themes, but the writing is usually formulaic (I am referring to commercial projects). The local industry needs more platforms, but I do understand that the South African market is segregated and that makes every niche market like the Afrikaans one smaller. Leon Schuster succeeded in making South African films, not just Afrikaans or English or Zulu, but South African. The film industry as a whole is an exciting business at the moment. With streaming services, we are opening up opportunities for films to be made by South African’s in South Africa and distributed internationally. The possibility of making films for a global audience excites me. We are already exploring the idea of remaking a french remake of Liewe Lisa. 5 Tips / advice for writers who want to get their work produced? Get the first draft done as soon as possible. Let other’s read your script, you will feel very self-conscious but listen to opinions. Then decide if you want to apply it. Read other scripts that have been produced. What do you think producers are looking for in screenplay? A producer will look for the commercial value, and how this story can be sold, but it all starts with a good story. What do you hope audience will get from watching Liewe Lisa? I really hope they enjoy the story. That choices are free to make, but there are consequences. People are reading scripts and watching films subjectively. I’m sure not everyone will love Liewe Lisa, but hopefully, I can inspire some to follow that burning desire in their heart and hopefully it works out. I learned so much making Liewe Lisa. I can’t wait to apply my ‘experience’ on upcoming films. My brother, Johan Cronje (producer of Liewe Lisa) and I run a production company – Kompanjie Stories. Our next film is called Relatief Jonk. A contemporary comedy. It’s about an actor, who once starred on a TV show. Now out of work, the actor goes to a funeral in his home town. Here his path crosses with a musician and an old flame and they go on a journey of together.